This afternoon, because this is how John Legere works, the T-Mobile CEO has reacted to the new Verizon Unlimited plan by tweaking his company’s own unlimited offering known as T-Mobile ONE. What are the tweaks? Well, let’s just say that since Verizon’s unlimited plan offered a plan that bested his, he’s gone ahead and matched Big Red (in a way). He’s also throwing in a 2-line promo as well. OK, so what changed? 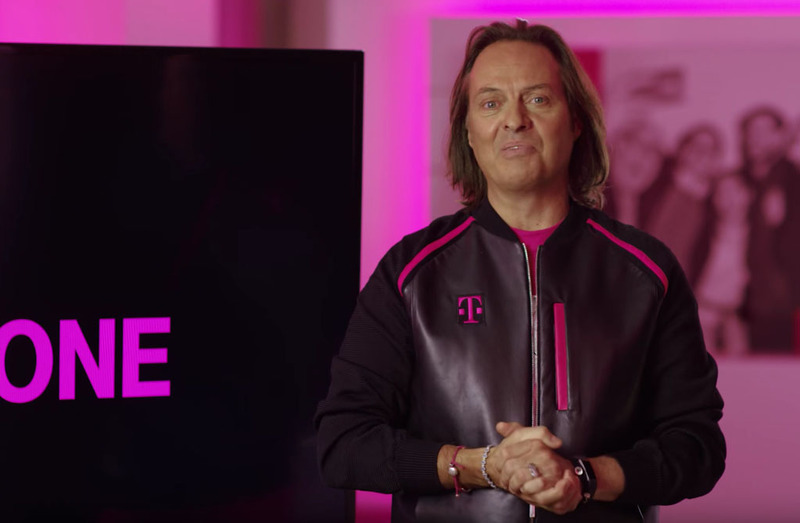 According to a tweetstorm from Legere (hopefully, a press release is on the way), come Friday, the base T-Mobile ONE plan includes HD video and 10GB of high-speed hotspot data at no extra charge. That’s it. So instead of having to pay for individual HD video passes each day, you’ll now be able to just toggle them on at will, like you would in the Plus plans. At least, we’re assuming they are still using that ridiculously obnoxious daily toggle for video that isn’t throttled to 480p. Keep in mind that Verizon does not require a toggle and instead just serves you up high-quality streams. Also, with the hotspot data, you now no longer get just 3G streams with the base T-Mobile ONE, but can use 10GB at full 4G LTE speeds. That’s a nice addition, for sure. The question now becomes, what good is T-Mobile ONE Plus with these changes? Part of the reason people upgraded to Plus plans was for the unlimited HD streaming and/or hotspot. Sure, T-Mobile ONE Plus International still has unlimited hotspot, but with 10GB in the regular ONE line, how many really need to pay $25 extra per month to upgrade? Also, what’s the point of the ONE Plus regular, since it doesn’t include tethering, yet does include HD video at an extra $15 per month? I’d imagine that will just go away on Friday and there will only be one Plus option. Additionally, Legere says that they’ll also launch a $100 plan for two lines (was $120), and that’s “ALL IN,” meaning taxes and fees are included. As you know, Verizon’s unlimited offering is $80 for a single line, but jumps to $140 for 2 lines. You can check out his whole tweetstorm below. As we get definitive clarification on all of this, we’ll be sure to update the post. UPDATE: The press release is now out, but it doesn’t cover anything we didn’t mention here. It does avoid talk of the Plus options, though, so we’ll have to wait until Friday to see how/if those change. UPDATE 2/14: According to a report, T-Mobile will remove the need to toggle on HD streams each day. Going forward, you should just need to turn HD streaming on once and it will stay. In the end, one has to ask why Legere didn’t just start with all of this setup this way instead of having to always react? Why wait until your competitors do it, John? Are you the wireless Batman who puts customers first or not? 6/ Starting Fri, #TMobileONE price includes HD video & 10GB high-speed 📱hotspot data –all at no extra charge. AND taxes & fees are included!